One private lesson with Azucena. This price includes up to 2 people in the private. Save $20 with this package! Includes 4 private lessons with Azucena. Up to 2 people can take each private. Save $60 with this package! Includes 8 private lessons with Azucena. Up to 2 people can take each private. The Ultimate Tool for Dancers! 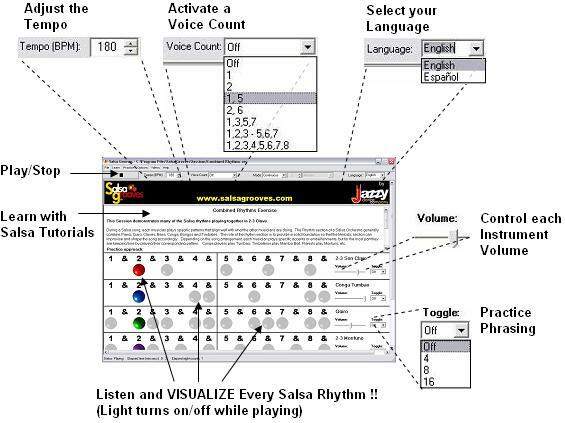 This software is designed to quickly improve your timing and musicality! Take advantage of high technology. Our software will speed up your learning process!